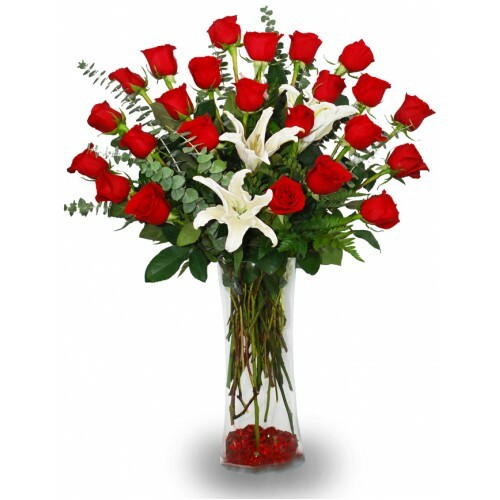 IN-STORE PICK UP ONLY ..
Twelve vibrant roses burst forth in a gorgeous arrangement of fresh lilies and china mums held toget..
Our large 11" urn vase filled with 12 roses is sure to highlight mom's day! 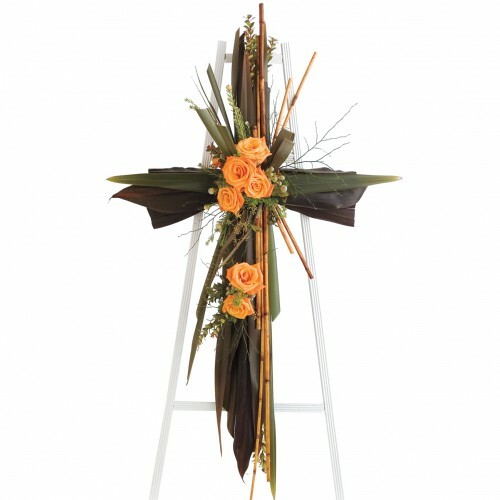 An acapulco lily is cent..
Our "Beautfiul Memories" funeral cross made out of ti leaves is simply embellished with six roses, c.. 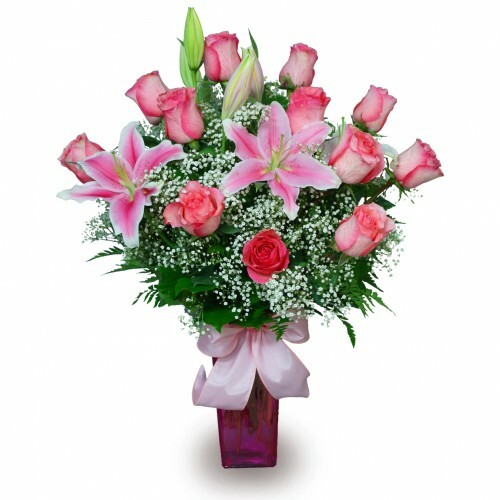 The purity of a mother's love is captured in an elegant arrangement of twelve pink roses adorned by ..
Give the one who nurtured you a beautiful taste of nature with this mixed flower arrangement that co.. 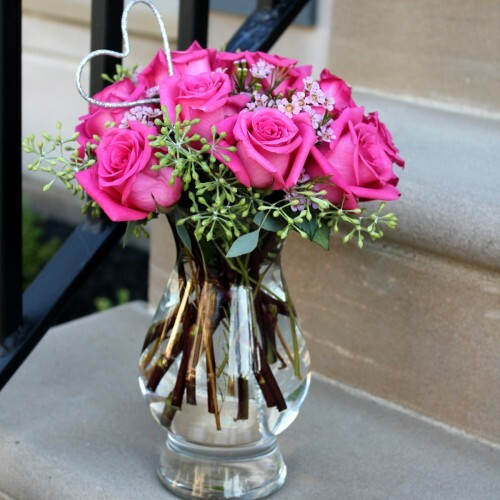 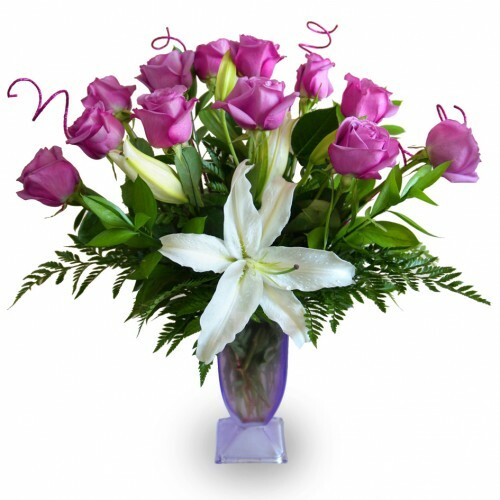 Mom will adore our "Purplelicious" arrangement that includes twelve lavender roses and beautiful whi.. 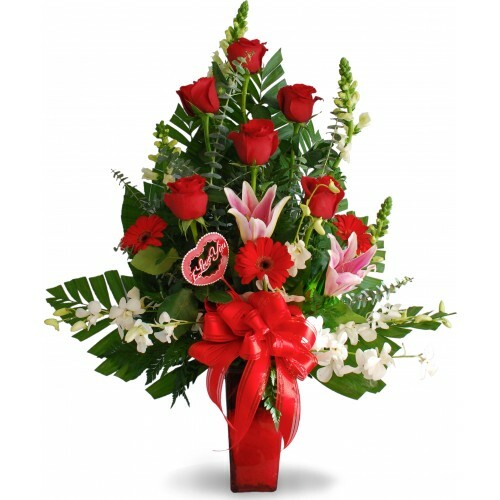 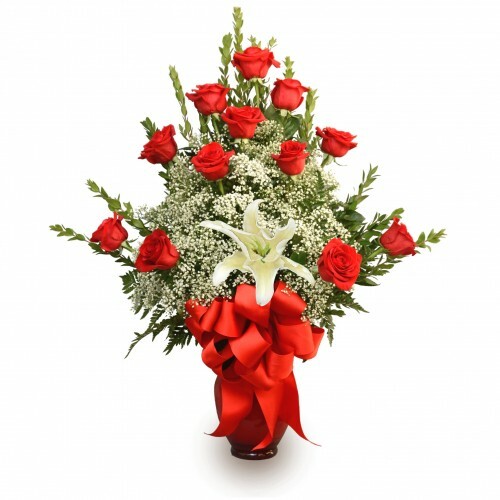 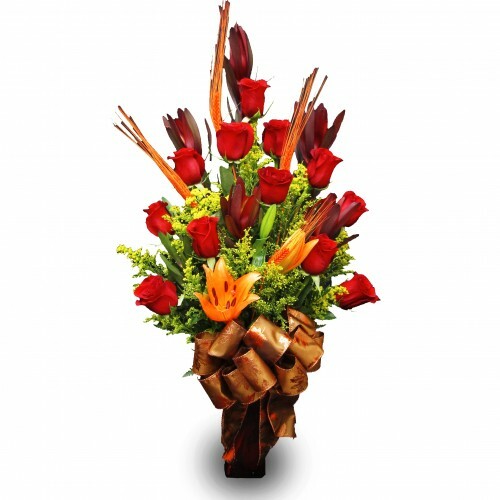 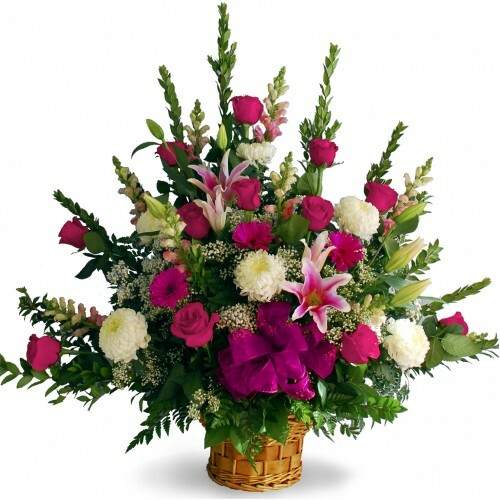 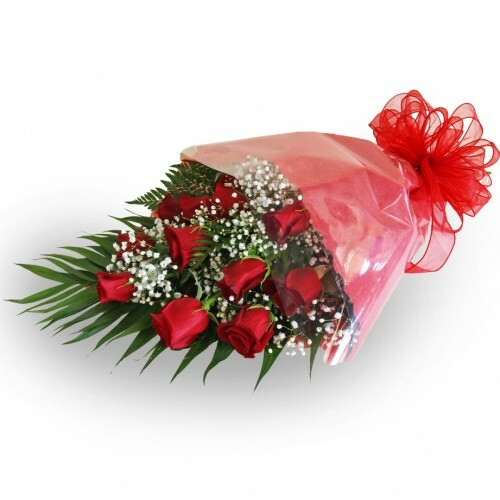 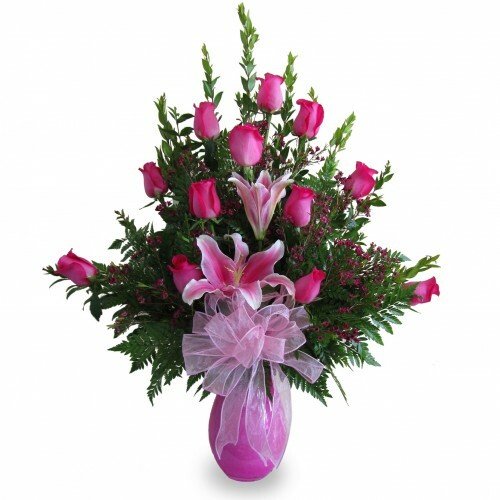 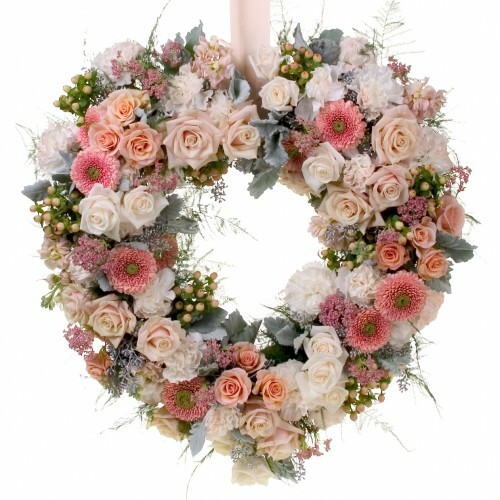 Surprise your mother with this cute arrangement of roses, gerberas, and lilies nestled in a stylish ..